my love for the MAC 217 makeup brush has no bounds. i have a constant supply of beauty products to give as gifts but one of the most precious gifts i give is this brush. every woman should own the MAC 217. if this brush hasn't made it to your makeup bag, consider adding it to your wish list. Brush Density. not too thick, not too sparse this brush has the perfect amount of density. it is thick enough to pick up a decent amount of product but thin enough to adequately blend as well. Bristle Stiffness. this is really a thing. if your bristles are too floppy, you can't apply your color directly where you want it. if they are too stiff, you have no blending capabilities. these bristles are perfectly firm. Brush Shape. the oval shape of the MAC 217 allows for easy blending. the product disperses easily and blends well. Top 10 MAC product. when you head to the maccosmetics.com website it lists a tab of the top ten best selling MAC products. the MAC 217 brush made that top ten. pretty impressive from a brand that does so many products well. Quality. the wood handle and nickel plate of the brush along with the quality of the bristles let's you hang onto the MAC 217 for, ev, er. use it, wash it, repeat. this brush will withstand use without compromising brush integrity. Do-it-all Application. this brush is a magician. apply color only to the tip of brush for precision lining. apply color softly to the brush for highlight. apply a heavier color to the lid for all over color application or for grease definition. Doesn't Shed. yes, this can be an actual issue with brushes. 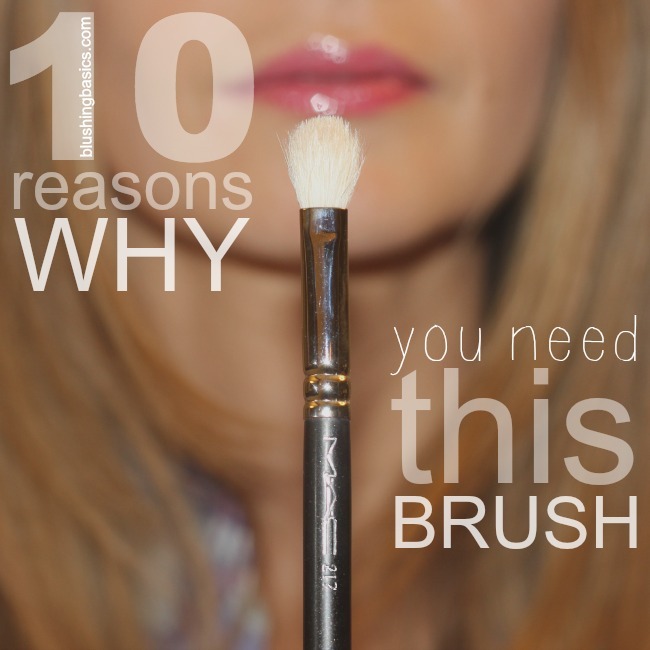 the last thing you want when applying your makeup are brush bristles falling. getting a brush bristle off your eyelid without messing up your makeup can be harder than herding cats. you don't want to try it. Works With All Consistencies. use it for cream shadows, makeup paints, loose powders, pressed powders, pigments, concealers or lipsticks. the MAC 217 is versatile. Money Saver. while the initial investment might be higher than your average brush the MAC 217 can turn the cheapest of eyeshadows into well blended beauties. some investments pay off over time, and this is one of them. The only brush i use consistently every day. i can't give it a higher recommendation than that.